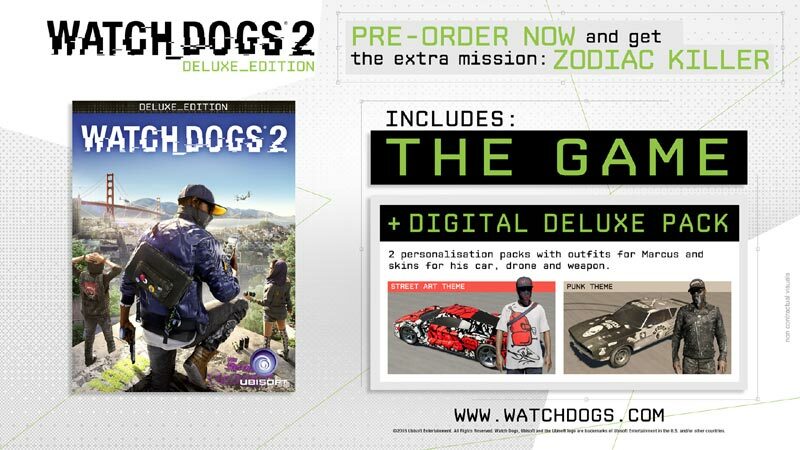 Download game Watch_Dogs® 2 Deluxe Edition right now! Pre-order now and get access to an extra mission: Zodiac Killer. Hack into the city's infrastructure, every connected device, and everyone’s personal database. Take control of drones, cars, cranes, security robots, and much more. Hack your enemies and bystanders alike - manipulate them in different ways to trigger unpredictable chains of events. Every person, any vehicle they might drive, any connected device they possess can be hacked. Use hacking and stealth to complete missions without killing a single enemy or combine hacking and your weapons for a more ferocious approach. Develop different skills to suit your playstyle, and upgrade your hacker tools - RC cars, Quadcopter drones, 3D printed weapons and much more. *Supported NVIDIA® video cards at time of release: GeForce® GTX600 Series: GTX660 or better / GeForce® GTX700 Series: GTX760 or better / GeForce® GTX900 Series: GTX950 or better / GeForce® GTX1000 Series: GTX1060 or better. *Supported AMD® video cards at time of release: Radeon™ HD 7000 series: Radeon™ HD7870 or better / Radeon™ 200 series: Radeon R9 270 or better / Radeon™ 300/Fury X series: Radeon™ R9 370 or better / Radeon 400 series: Radeon RX460 or better. *Notes : This product supports 64-bit operating systems only. Laptop versions of these cards may work, but are not officially supported. For the most up-to-date requirement listings, please visit the FAQ on our support website at support.ubi.com. 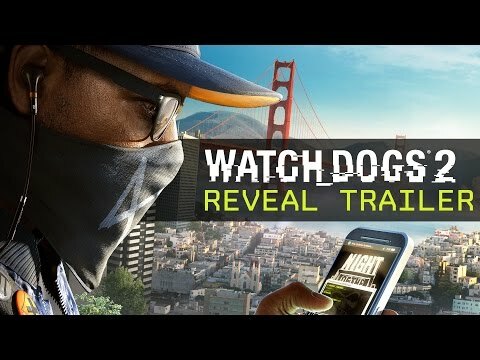 *High speed internet access and a valid Ubisoft account are required to activate the game after installation, to authenticate your system and continue gameplay after any re-activation, access online features, play online or unlock exclusive content.